In this eagerly-awaited third novel, award-winning author Dara Horn brings us page-turning storytelling at its best. Layered with meaning, All Other Nights presents the most American of subjects with originality and insight -- and the possibility of reconciliation that might yet await us. How is tonight different from all other nights? For Jacob Rappaport, a Jewish soldier in the Union army during the Civil War, it is a question his commanders have already answered for him -- on Passover, 1862, he is ordered to murder his own uncle in New Orleans, who is plotting to assassinate President Lincoln. After this harrowing mission, Jacob is recruited to pursue another enemy agent, the daughter of a Virginia family friend. But this time, his assignment isnt to murder the spy, but to marry her. Their marriage, with its riveting and horrifying consequences, reveals the deep divisions that still haunt American life today. 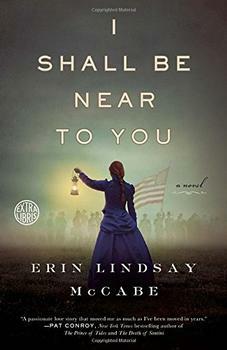 Based on real personalities like Judah Benjamin, the Confederacys Jewish Secretary of State and spymaster, and on historical facts and events ranging from an African-American spy network to the dramatic self-destruction of the city of Richmond, All Other Nights is a gripping and suspenseful story of men and women driven to the extreme limits of loyalty and betrayal. It is also a brilliant parable of the rift in America that lingers a century and a half later: between those who value family and tradition first, and those dedicated, at any cost, to social and racial justice for all. Dara Horn's third novel All Other Nights shimmers with emotion and historical detail. Set amidst the tumult of the Civil War, Jacob Rappaport is on a quest to find himself. When he flees his parents' wealthy New York life, he knows little of himself or the world. His journey takes him into the bowels of evil, self-loathing and despair; yet there is redemption for him as well as he struggles to make sense of love and duty. (Reviewed by Sarah Sacha Dollacker). Readers familiar with Horn's dazzling earlier novels ... might find themselves a bit disappointed with her protagonist here. ... The novel unfolds intriguingly nonetheless, as Horn's protagonist wades deeper and deeper into the murky waters where the conflicting obligations of country, family and self threaten to consume him. A rare and memorable portrait of Jewish life during the Civil War. All Other Nights has the propulsive, suspenseful narrative of an espionage thriller, but the novel stands out because of the larger moral dilemmas Horn weaves into an epic. Horn is too gifted and ambitious an artist to settle for easy reassurances or a facile happy ending; she instead offers her readers the deeper satisfactions of complexity and generosity as she limns a world of agonizing, implacable moral ambiguities and guides her imperfect yet lovable protagonist toward a tentative redemption. Two big questions remain: Is Eugenia still alive? Will Jacob be a fool for love? Make that three: Does anyone care? Turgid and meandering. Her tale of Confederate Hebrew spies skillfully puts a new spin on a time period that has been researched and written about extensively. Starred Review. Horn both unearths a fascinating, relatively unexplored aspect of American history ... and delivers a novel rich in human emotion and ambiguity. A triumph. Starred Review. Horn propels the love story at a thriller's pace; the mix of love and loyalty played out in a divided America is sublime. All Other Nights incorporates a number of historical characters, but perhaps the most integral to the tale is Judah Benjamin, the Secretary of State for the Confederate States of America.